Our Brighton area roofing contractors can help you with all your gutter related needs. Since 2000, our roofing contractors have been providing the highest quality roof and gutter related services to the Brighton area. Because we are also roofing experts, we know exactly how to design a gutter system that will work best for your property. In order for your roof to function properly, it is important for your gutters to effectively funnel water from the surface of the roof. If your gutters are damaged, the rest of your property can be negatively affected by even minor rainfall. Even worse, if your property does not have a gutter system, your home or business is left unprotected. It is essential to have a properly functioning gutter system on your home or business to protect your property during a rain storm. When your gutters are damaged or clogged, your roof, the siding, and the foundation of your home or business are all threatened. The rain can pool on your roof causing substantial damage. Even worse, water can cascade off the side of your roof, harming the siding, windows, doors, and landscape surrounding your property. In the most severe instance, water can pool near the foundation of your home and cause substantial erosion. Seamless gutters are ideal for preventing buildup like leaves and other debris, which means you don't have the task of cleaning them nearly as often. Aluminum is a material that will not rust so you get more long term use for your financial investment. Aluminum is also available in a variety of colors and can also be painted in order to match the color you may need. By installing copper gutters on your property, you will make your residence look elegantly unique. By increasing the curb appeal of your home, your new copper gutters will add substantial value to your property for the long term. 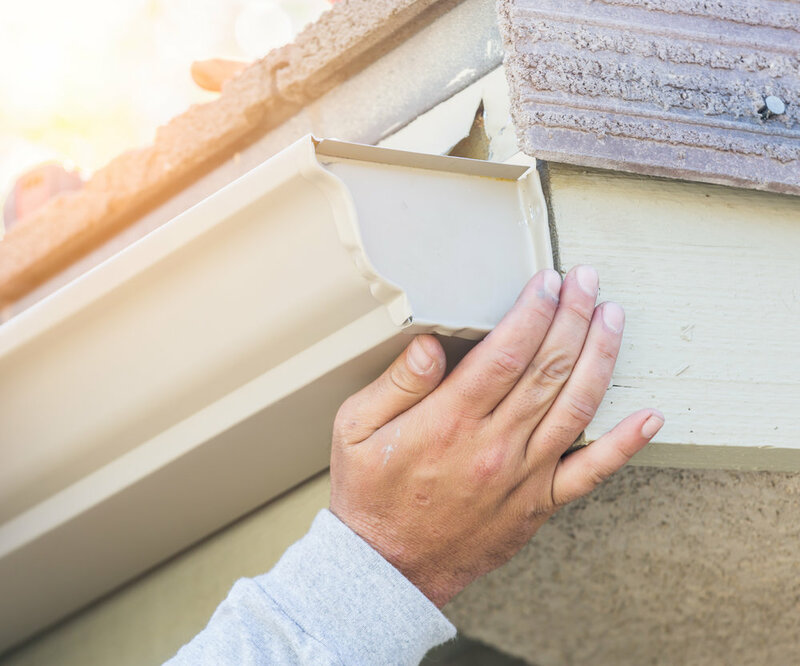 At Home Remedy Construction LLC, our Brighton exterior remodeling contractors can protect your home by installing gutter protection for you.When you install gutter protection on your home, you ensure that your gutters are functioning in the best possible fashion at all times. Gutter protection works by preventing leaves and other debris from collecting in your gutters. By doing so, they then prevent clogs from forming with your gutter system. This helps to keep water flowing off the surface of your roof and through your gutter system in the best manner. Best of all, you will not have to scale a ladder to clear debris from your gutters ever again.